Since 1989 Omicron develops and produces innovative Laser Systems and LED Light sources. Product development and production comply with European guidelines. Recently, Omicron released an exciting new range of LightHUB+® – Plug&Play Laser Light Engines in a compact and rugged design, and equipped with up to six user-upgradable wavelengths (beam-combined and efficiently fiber coupled in one compact housing). 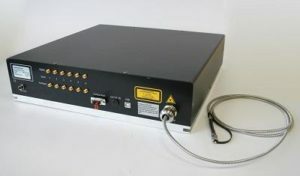 The laser light engines can be equipped with up to 6 DPSS or diode lasers of different user-upgradable wavelengths (end-user’s choice) ranging between 375nm and 1550nm, and the optical output has a possible capability to power up to 300 mW per laser line. 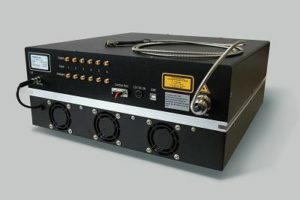 Over 30 wavelengths are available, and the fibre output can be coupled with single-mode, polarisation-maintaining fibres or multi-mode fibres with various ourput connectors or collimated beam diameters starting from 0.7mm. Pre-assembled upgrade-kits consisting of the laser head, optical combiner block and an interface card can be installed at any time. 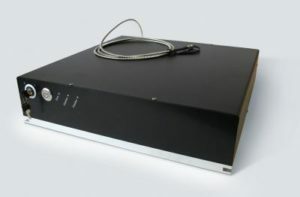 There are also six analogue and digital modulation inputs, as well as USB3 and RS232 interfaces, allowing for easy integration control environments. The system is designed to be both passively and actively cooled, and there is an optional, integrated cooling unit available. The key features of the LightHUB+ light engines also include six direct analogue and digital modulation inputs; and USB3 and RS-232 interfaces for easy integration. The system is designed to be both passively and actively cooled, and with an optional cooling unit available. By mounting it on a optical table or thicker breadboard, passive cooling is possible. 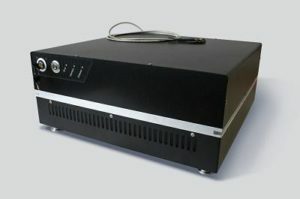 If the system should be operated in a free-standing desk-top use, the optional active cooling unit with temperature controlled fans can be attached underneath. Windows™ based laser control software has been included, and software drivers for Metamorph, LabVIEW and Micromanager are available.